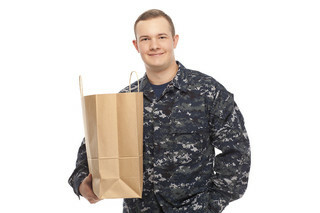 Before your next trip to the exchange or commissary on Miramar Marine Corps Air Station, be sure to check out MyMilitarySavings.com for the latest coupons and deals. We understand that military life doesn’t always leave much time for planning out shopping trips and hunting all over for coupons. That’s why we’ve gathered all of the best savings deals available into one easily accessible website that allows families living on military bases in San Diego, California, and around the world to enjoy bargains at the commissary and exchange without any guesswork. What’s more, we also offer a “My Shopping List” app, where you can add whatever items you need at the commissary and exchange right from our site to a digital shopping list. You can even access your digital shopping list from your smartphone, so you won’t even need to print it out before your next trip to the exchange or commissary. If you’re ready to save like never before at the commissary and exchange on Miramar MCAS in San Diego, CA, sign up for your free membership at MyMilitarySavings.com today.